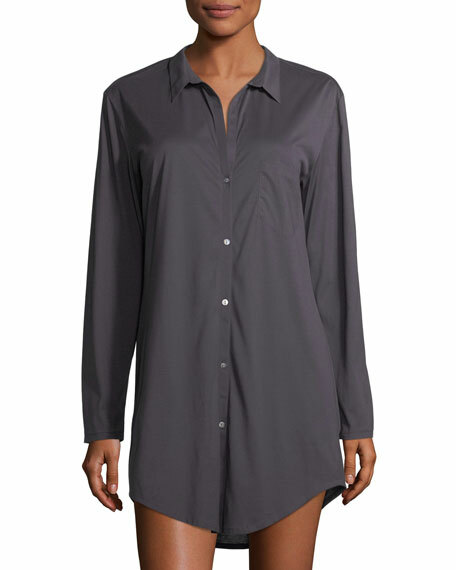 Hanro mercerized cotton sleepshirt with voile trim. Yoked back with crossover center pleat. 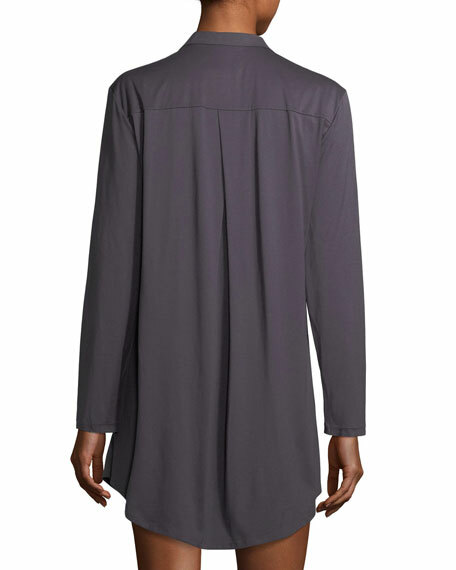 Shirttail hem extends slightly in back. For in-store inquiries, use sku #2381811.